BACKGROUND: BioEnergy Hawaii was established to address the fundamental problems associated with the current waste disposal operations in Hawaii. The new company sought to partner with community leaders and industry experts to develop sustainable solutions through innovative waste treatment and alternative energy operations. PROBLEM: The newly-formed company had no track record, and therefore no credibility or trust established in the Hawaiian communities. 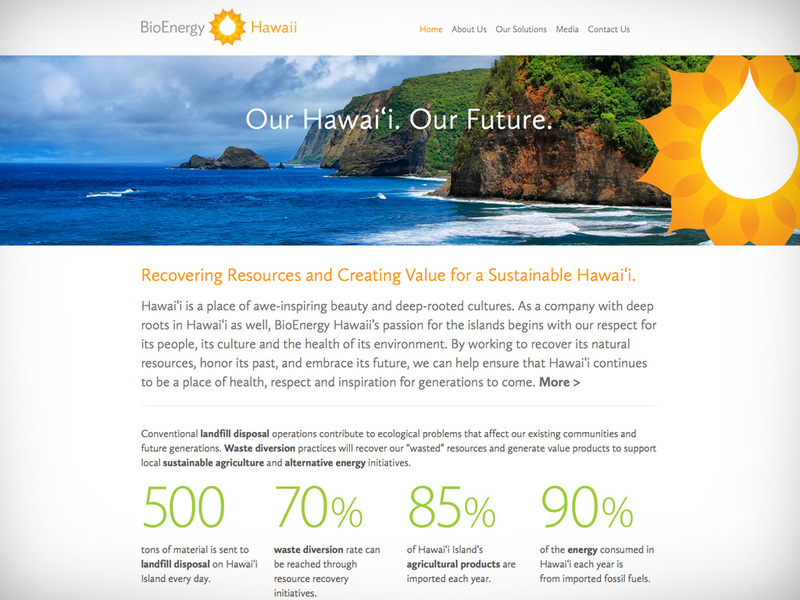 BioEnergy Hawaii needed to validate it's credible solutions with a focused brand identity and message that would provide validity and trustworthiness among Hawaiian residents and businesses. SOLUTION: Kinetic Branding created a brand strategy using their proprietary Brand Energy process, and implemented the strategy through several brand communication pieces, listed below and detailed on this page. 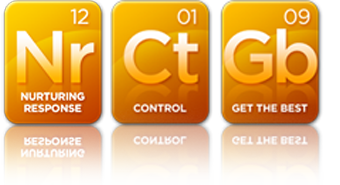 The unique Brand Energy Formula that Kinetic Branding identified for BioEnergy Hawaii is 1) Nurturing, 2) Control, and 3) Get the Best. These Brand Energy Emotions make up the essence of the BioEnergy brand and is the focus of all brand communication pieces. Nurturing is one of the strongest emotional desires that connect consumers with BioEnergy Hawaii. All people have the desire to protect and preserve life, and thus BioEnergy Hawaii meets the core human desire to nurture. Hawaiian residents know full well that their landfill problems are completely out of control and that a real and viable solution is desperately needed. They have witnessed several solutions that have not produced actual results, so they are particularly protective of their islands and its environmental health. For people who have a deep desire to nurture someone or something, the desire to get the best possible product available is greatly intensified. The consumer will dig deeper to discover which product really is the best because of their care and concern. They will read reviews and do their research. BioEnergy Hawaii provides the best research, the best technology and the best leadership for the health of the Hawaiian islands. The new corporate brandmark that Kinetic developed for BioEnergy Hawaii was based on the top three emotional elements of 1) Nurturing, 2) Control and 3) Get The Best. These core emotions are what drive consumers to investigate and invest in the BioEnergy Hawaii brand. The original logo (old logo) was created based on similar, yet different sister companies. The circular logo mark was inherent in the sibling companies, yet non of the other companies were similar to BioEnergy Hawaii, and thus called for a unique visual design approach to the corporate logo. The new logo design was based off of several visual cues that tie in with the company's unique Brand Energy Formula. The logo mark design was inspired by nature, and reflects the nurturing aspect of the company's Brand Energy Formula. The logo mark is an abstract shape that represents the sun, a flower and the flourishing health of Hawaii. Built on the concept of renewable energy, this new corporate logo is a powerful and engaging visual representation of BioEnergy Hawaii. 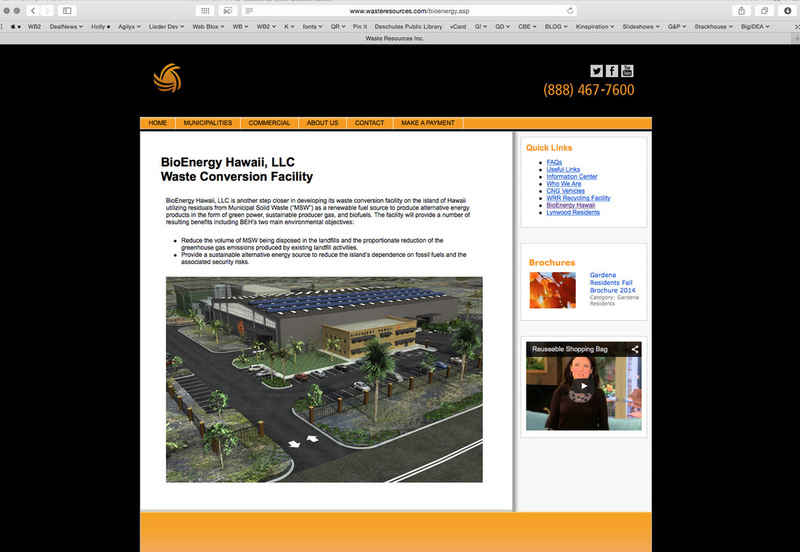 The original BioEnergy Hawaii website (displayed below and to the right) was a basic website that was treated like one of the sister companies. It only had a few pages, but did not have its own visual identity. Kinetic Branding designed the new website based on the company's unique Brand Energy Formula of Get the Best, Control and Nurturing. Get the Best and Control are communicated by the beautiful imagery of the home page as well as the amazing statistical information provided at a quick glance. The Nurturing emotion comes forth in this new website design through the stunning imagery of various Hawaiian landscapes presented throughout the website. The feedback of the new website from the Hawaiian community have been astounding. People are actively participating in this new venture to improve the health of their islands and exhibiting a deep level of trust in BioEnergy Hawaii that has not been there before.